Building new? Sunflower can help you from the ground up! Whether residential or commercial, big or small, Sunflower guarantees your plumbing will be done right and up-to-code every time. Call us for a free estimate! 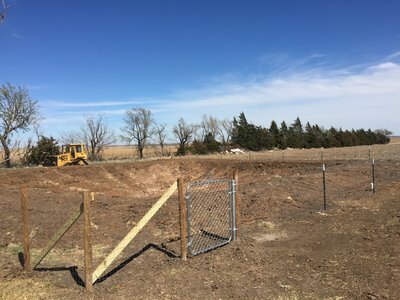 Whether your lagoon needs "dipped out" and cleaned up, or your perimeter fence needs rebuilt, or you need a brand new lagoon system - Sunflower has got you covered! Everything is built to code - everything is built to last. CLICK HERE to learn more about our process. Septic tank constantly filling up? You might have a lateral field failure. Sunflower has the expertise repair (or add to) an existing field. 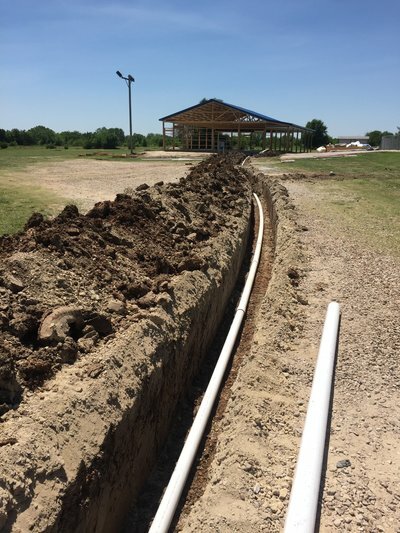 If needed, we can install new lateral fields using time-tested “rock & pipe” systems, or “chambered” technology, or the newest “drip system”. Also, our estimates are free! 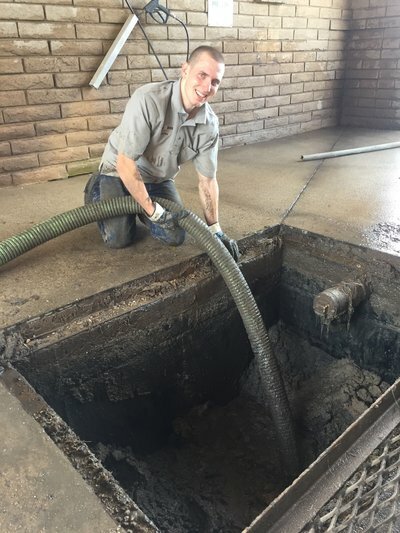 One of the many services Sunflower offers is complete pit cleanings for all commercial car washes in the South-Central Kansas area. 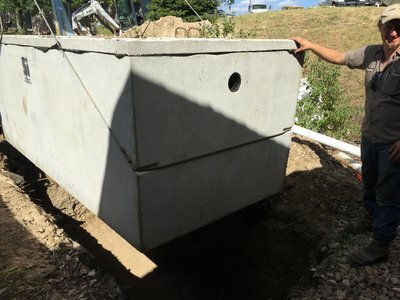 We will empty & clean your mud trap then separate the mud & water and dispose of the dried material in a State-Approved, environmentally friendly way. Preventive maintenance pays off! Having your septic tank regularly cleaned is the best guarantee for the long-term health of your entire system. 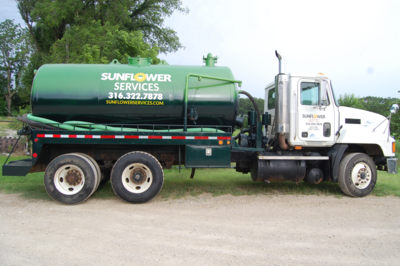 From cleanings to inspections to treatments, Sunflower can help ensure your septic system functions properly! provide a remedy for your problem. Over time, old septic tanks fail and need replaced. Sometimes just the tank fails, sometimes the entire lateral field does too. 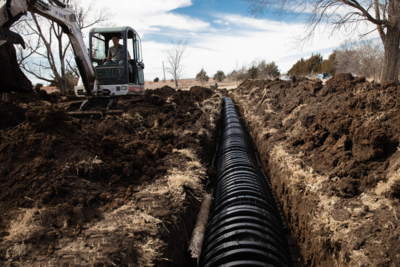 Sunflower is a licensed & certified septic installer for all South-Central Kansas and can install concrete tanks, reinforced poly tanks, risers, lids and more! Broken or slow-running underground drain lines are a hassle. If you need a sewer line replaced or a new city sewer hookup, call us! 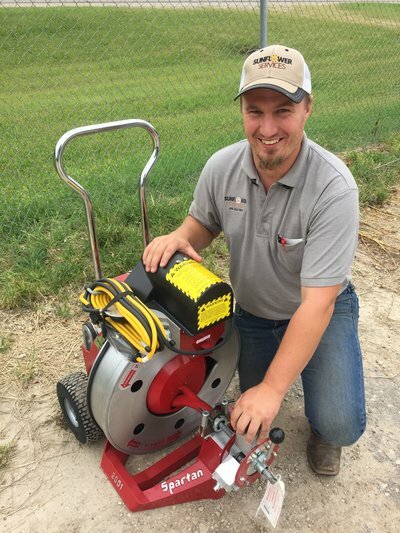 Sunflower is a licensed and certified drain layer for all South-Central Kansas and has all the equipment and experienced operators to get your job done right! 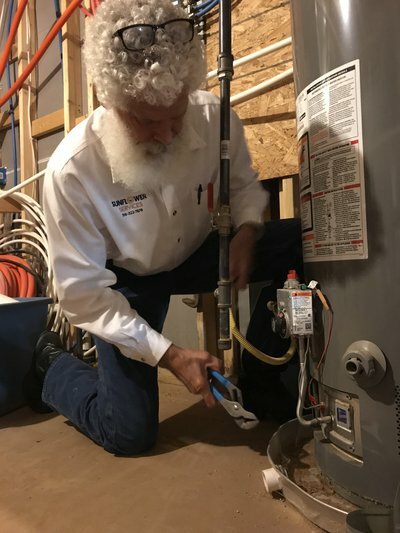 Having master certified plumbing licensing, Sunflower performs complete plumbing installation, maintenance, and repair for all your residential needs. From kitchen sinks, faucets & bathrooms, to water heaters, gas piping, garbage disposals and laundry rooms - our friendly techs have got you covered 24-hours a day! Our experienced team is ready to serve you. Give us a call at (316) 322-7878 today, email us at contact@sunflowerservices.com or just fill out the form on our Scheduling page! Our company slogan. We smile because we are truly blessed - and we have good reason to be! Every member of the Sunflower team considers it a privilege to work for you. 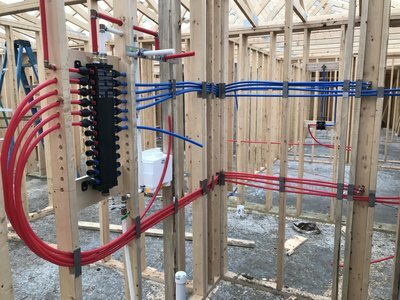 Our experienced team includes licensed master & journeyman plumbers, a licensed electrician, licensed septic installers and a licensed master drain layer - all ready to serve you! Oversight & management for the entire Sunflower operation happens from a family level. The owners are local and integral to the day-to-day operations and reputation of the business. Another one of Sunflower’s core values. Each month our employees nominate a co-worker for the “A&B Award” - so be sure and let us know if your tech went above & beyond! During after-business hours, our dispatch team is still ready! 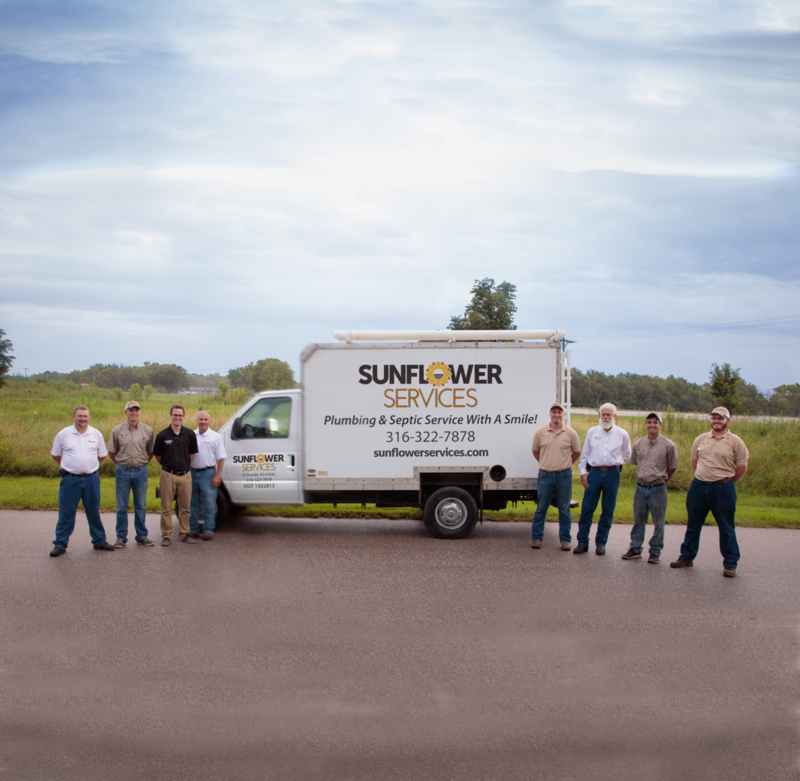 We forward service calls to a cell phone so Sunflower can respond to your emergency anytime day or night. Customer service is one of Sunflower’s greatest strengths. Our employee’s work ethic, attention to detail and “customer’s always right” mentality are core to what we do.